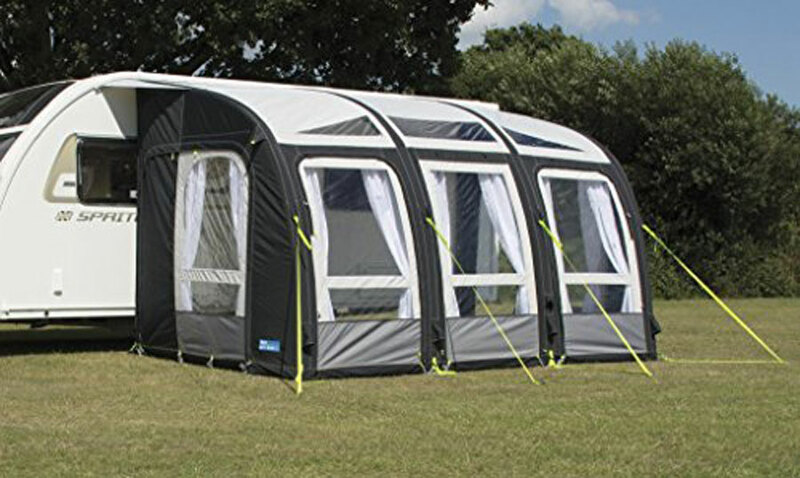 If you have ever experienced the discomfort of spending the night trying to sleep on the cold hard ground, then you know the value of having quality inflatable camping gear. 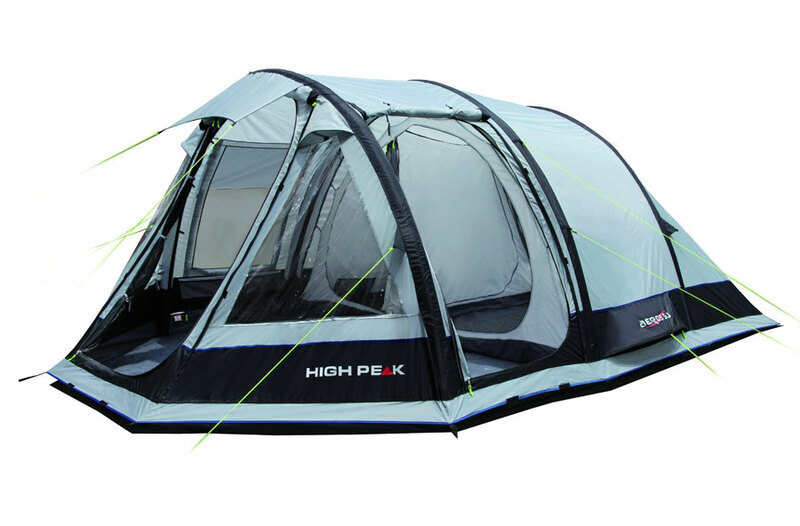 While there are numerous options available on the market that catered to your camping needs, the best inflatable camping gear set the standards regarding inflatable tents, pads, pillows, mattresses and lanterns. 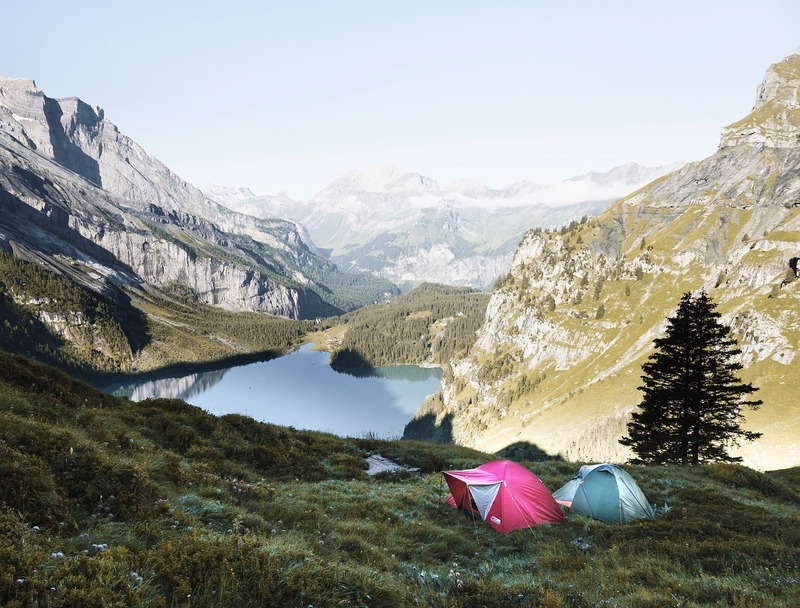 After performing in-depth research comparing the selections and identifying the best of each category, we have rounded up the best in each category that provides the most comfort when away on a camping trip. There are three different types of inflatable sleeping mats that differentiate based on their construction. Closed cell phone, otherwise known as CCF, are simple pads made of a thin sheet of foam that measures about half of an inch thick. The tiny air pockets within the phone are meant to protect you from the coldness or warmth of the ground, but they are considered uncomfortable. The best thing about sleeping pads is that they are lightweight, inexpensive and durable. The drawbacks regarding sleeping pads is that they tend to be uncomfortable, bulky, and difficult to clean. Self inflating sleeping pads have somewhat of a sponge type of open celled phone that is situated between two layers of sturdy fabric. An open valve is used to expand the phone and inflate the pad when used, and the phone works to trap air and maintain your body heat. The benefit of using a self inflated sleeping pad is that they are easy to inflate, comfortable and supportive, and are minimally bulky. On the opposite side, self inflated pads are less durable than foam. And even though they are more comfortable then phone, they are less comfortable than air construction pads. Its construction pads are the newest innovation, as they emerged from the construction of inflatable pool toys. While the material that is used is more durable and lighter than waterproof accessories, when inflated they perform as 2 inches of cushion that offers the most comfortable option in regards to self inflating sleeping pads. While the air construction pads do require patients due to the extended time required to inflate the pads, they offer the lightest option for traveling, as well as the most compact option. While they do tend to be bouncy, construction pads are considered to be the most comfortable option when sleeping outdoors. 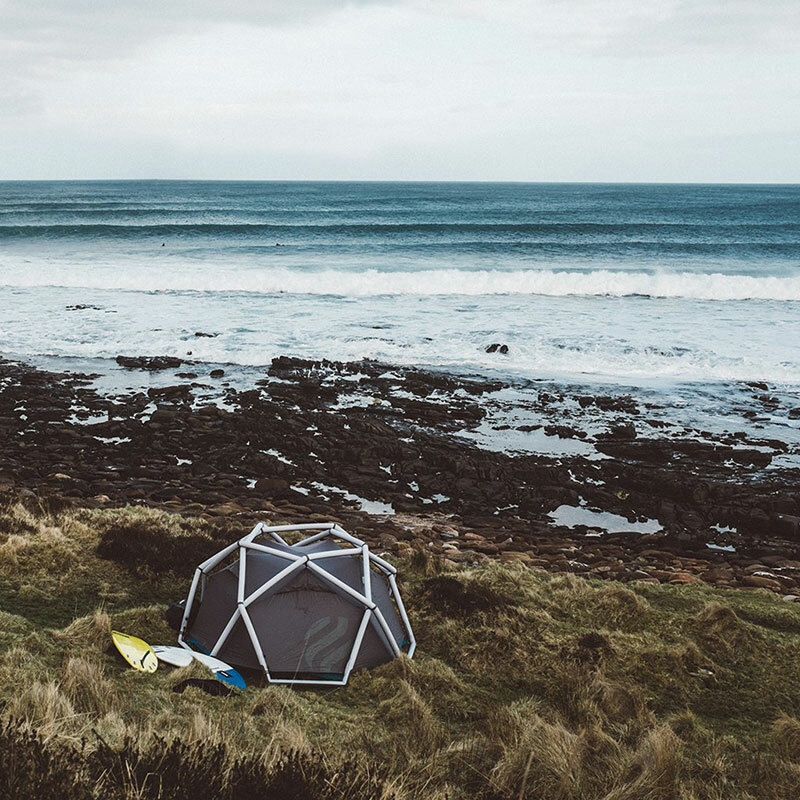 When comparing inflatable sleeping pads, there are a few things to consider in order to make sure that you make the best selection. Comfort – When evaluating the comfort of the inflatable sleeping pad, consider the thickness of the pad and compare it to the type of ground you will be selling on. If you will be laying on a concrete or asphalt surface, then you will need the thickest pad you can find. Or in the case where you will be camping in the extreme cold or heat, a thick Pat will protect you from those harsh weather conditions. At them pad can service purpose as well, in the case that you wish to travel lightly because of the length of your journey or the amount of of the equipment that you need to travel with. But even in regards to long expeditions, it is worth dealing with a little extra bulkiness or caring a few extra pounds if it means that you will be able to attain a restful nights sleep during the course of your journey. Weight and Packed Size – The weight and the size of the pad when traveling does make a difference in the overall experience. Considering that the Pat must be carried for the majority of your journey, the weights of the pad may mildly influence the amount items that you will be able to take with you, especially if you will be gone for a few days and require a fair amount of luggage. The size of the pad when packed will determine the amount of space that it consumes, and how much space is left to pack other items. But even with those considerations, it is well worth having I heavier load and leaving behind a few items if it means that you will be able to rests comfortably. This is especially true when hiking through the mountains or other rocky terrain, as it can prove to be quite uncomfortable and even painful sleeping on a bed of rocks. 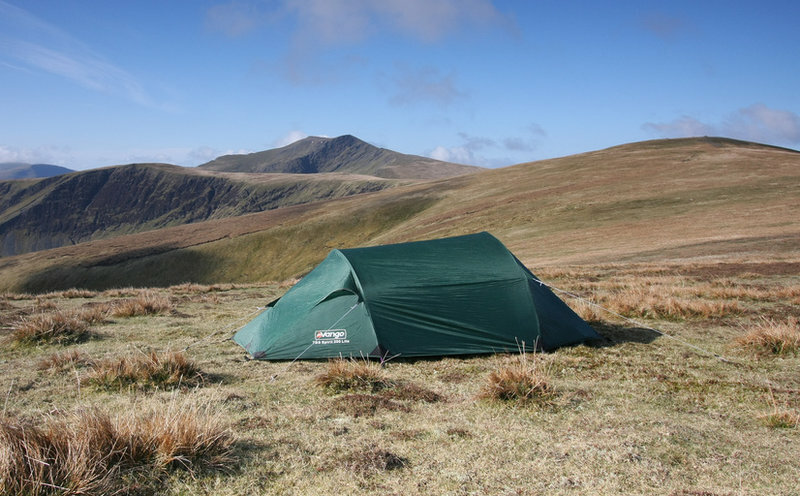 Warmth – It is vital that you choose a pad that will keep your body warm and insulate you, as the harsh cold temperatures of the ground can cause hypothermia. In the summer, the ground, especially concrete, can retain the heats from the sun blazing over its all day. 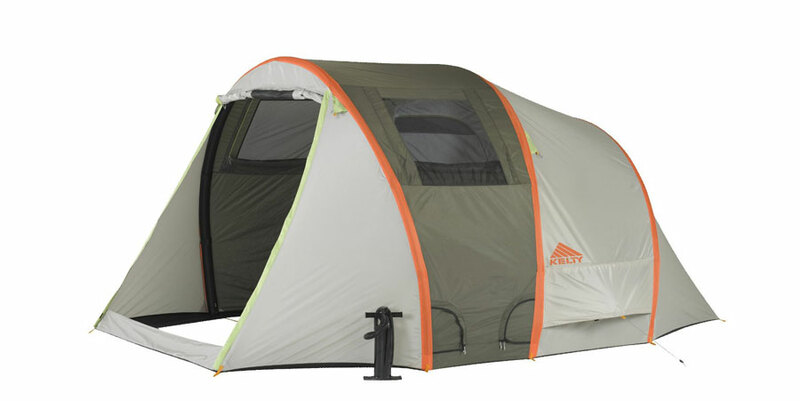 In either case, you want a pad that offers the type of warmth for the temperature in which you will be camping in. 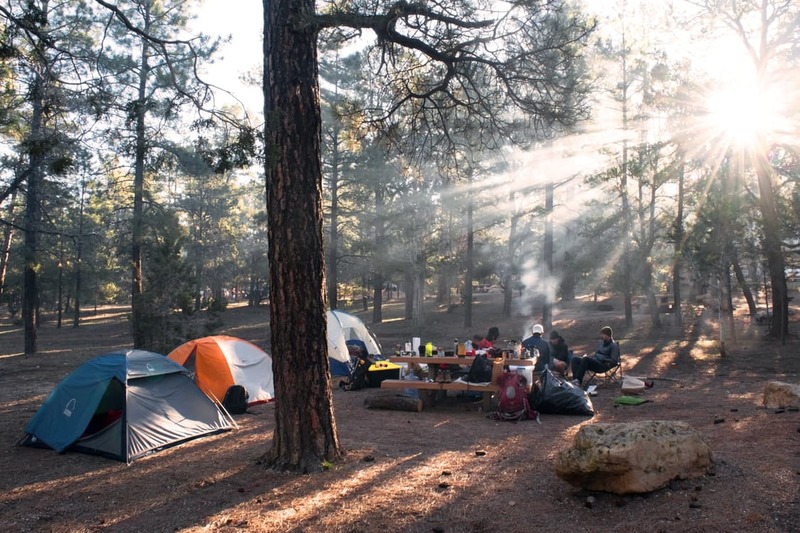 Sleeping pads are usually graded with a warmth rating referred to as an R-value. A Pat was a R-value of one would offer the minimal amount of warmth, and are best used when you need something that is light and you are traveling during the warmer months of the year. On the other hand, a sleeping Pat with a R-value of five essentially offers five times the amount of warmth, so it is most appropriate for winter camping trips. 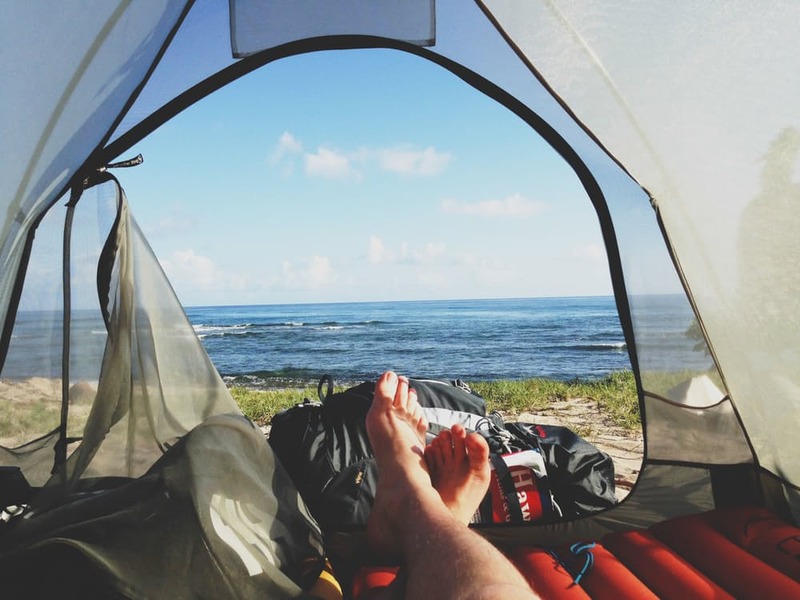 Ease of Inflation – After a long day of traveling by foot, the last thing you want to do is have a hard time inflating your camping equipment. That is why it is important to consider the level of difficulty that will be involved when inflating the sleeping pad that you select. Air construction mats 10 to be difficult to inflate due to the style of valves utilized. Self inflating mats usually provide the most efficient method of inflating that is fast. The downside of that is the loss in comfort and the extra weight and boat when packing. Which to buy? The Therm-a-Rest NeoAir Xtherm dominates sleeping pad options, as it offers high durability, maximum comfort and excellent performance. The feedbacks and reviews online agree. For many years, the Therm-a-Rest NeoAir Xtherm has one editor choice awards, popular pics and other accolades, as it is fairly lightweight and is not bulky. That means is easy to take the sleeping pad with you on a camping trip with outs access weights that will slow you down. All in all, the sleeping pad suits all purposes, winter and summer, as it is well insulated and easy to inflate. There are three different types of inflatable mattresses – foam, self inflating and inflatable air mattresses. Each offer their own pros and cons, but as long as you know what to look for then it should be easy to find the inflatable mattress that suits your needs easily. Foam Sleeping Pads – These are usually the flat, rectangular shaped mattresses that are rolled up when stored. They are made of closed cell foam, so they are inexpensive. But even so, the composition of the foam is tough, indestructible and dependable when you meet them. When compared to the other options available, they offer the least amount of warmth, but require the least amount of space in your luggage as well. They are the cheapest option, but they are not the most comfortable, so they are normally use for protecting an inflatable mattress. Self-Inflating Sleeping Pads – The most popular option that people turn to if they are interested in a phone had but want to improve upon its drawbacks is the self-inflating air mattress. They are made with a small layer of open celled phone which is then protected by a rugged nylon material. The open cell phone is what is inflated, as the initial air is forced by breath and the mattress self inflates. These actually compact into the smallest amount of space in your luggage and offer a much higher level of warmth and comfort ability when compared to the foam pad. While this inflatable air mattresses more expensive, it is also very light. One significant disadvantage of this option is how easily punctured the material is when compared to a standard rolling mats, sodas best to choose the thickest material possible when selecting a self-inflating mattress. Inflatable Air Mattress – The inflatable air mattresses are not self inflatable, which means you have to physically inflate them yourself completely. But when compared to the material used in the southern inflatable option, inflatable air mattresses are significantly more durable as the material is thicker and resists being punctured well. Of all the options, inflatable air mattresses are the most comfortable, so it they are versatile enough that you can use them all year round without any concern for the temperature of the ground and whether or not you will be warm and comfortable. Even on the roughest terrain, that air mattress absorbs all the bumps and rocks underneath you well while insulating the air underneath you, helping you to retain your body and sleep comfortably under any condition. Of all the options, inflatable air mattress is the warmest, thickest and most comfortable option. In terms of disadvantages, it does offer a big puncture risk depending on the type of conditions you expose it to, they are the most expensive, and require physical effort in order for you to properly inflate them. Which to buy? 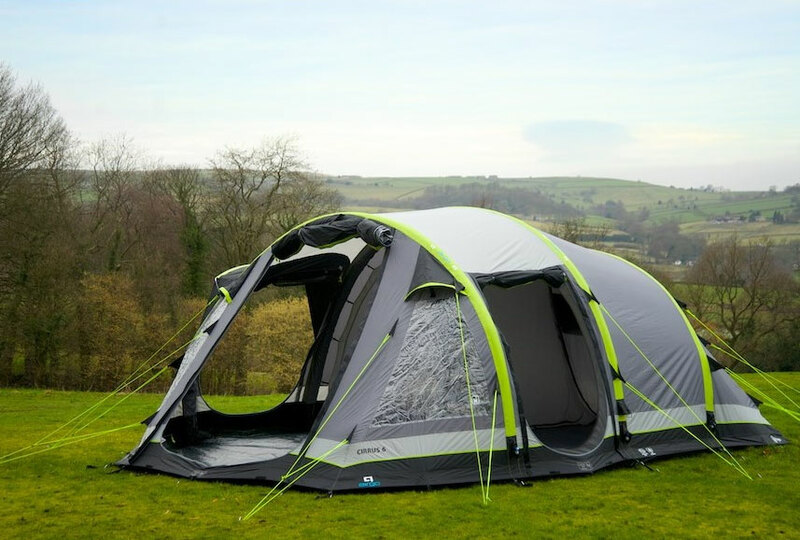 – After comparing all of the top options, the Nemo Astro Insulated Lite 20R is highly regarded as one of the best on the market. Under all conditions, this mattress stands up at the top of each category, from comfort to longevity, from durability to quality. 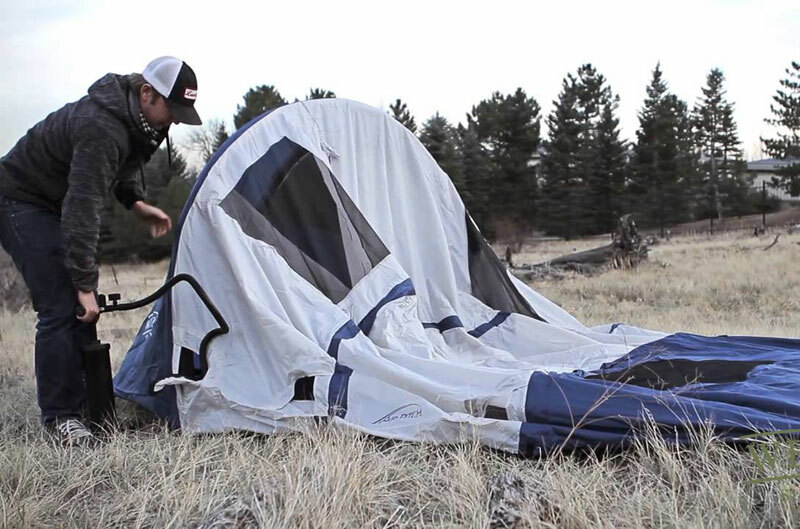 While it is easily collapsible when being deflated, it offers the most comfortable rest because it does not collapse from your body weight. It will feel like you are sleeping on a cloud when you are camping with this mattress. In order to complement your selection in terms of sleeping pad or mattress, you need a inflatable pillow that will offer the best support, comfort and ease of use. There are three basic types of camping pillows: compressible, inflatable and then the hybrid option. Compressible – Compressible pillows contain synthetic fibers, foams or down feathers, and most resemble the pillows you already sleep on at home. In regards to the other types of pillows, these prove to be the softest and offer the most comfort. The synthetic fiber pillows, and those filled with phone, tend to be the least expensive of all, but they way more and have more firmness, pillows filled with down feathers can compress to the smallest size, so they are easy and lightweight to pack and yet, they are the softest. Inflatable – Obviously, inflatable pillows are blown up with air, which means that when they are packed and empty, the are easy to transport. But the drawback is that when inflated, they are firm in light, not as sturdy when resting your head on them without a pillowcase. In fact, they tend to create noise as you shift your body throughout the night. 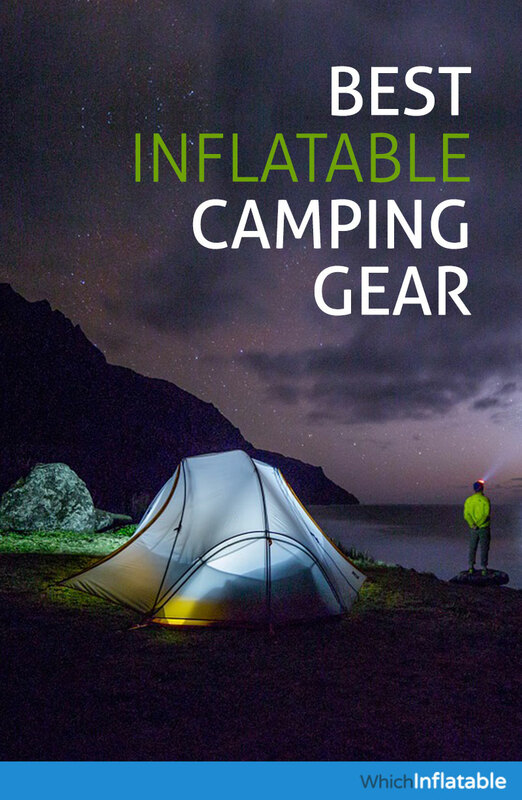 While they do inflate quickly, they offer the least amount of comfort, so they are usually only selected when you need to pack as light as possible and you are traveling on an extended trip. Hybrid – These type of pillows are a emerge between inflatable’s and compressible, as the top of the pillow offers the comfort of the compression and the bottom utilizes the sturdiness of inflatable mechanisms. Since combining the two options addresses the disadvantages of each of them, it makes the hybrid pillow and attractive option. Comfort – Simply put, when judging the the level of comfort offered by the pillow, you are essentially assessing the quality level of sleep you will be able to achieve using the pillow. Obviously, we all want the most comfortable option. But sometimes we may need to sacrifice that in consideration of packing space and weight. Weight – If you plan to be on a long trip, weight may be very important when considering all of the things that you will need to pack and take with you. So by all means, when required, choose the option that is the most compatible and lightweight. But when considering the options that would be regarded as the boat years, there really is a minimal difference in terms of weights and compact size. 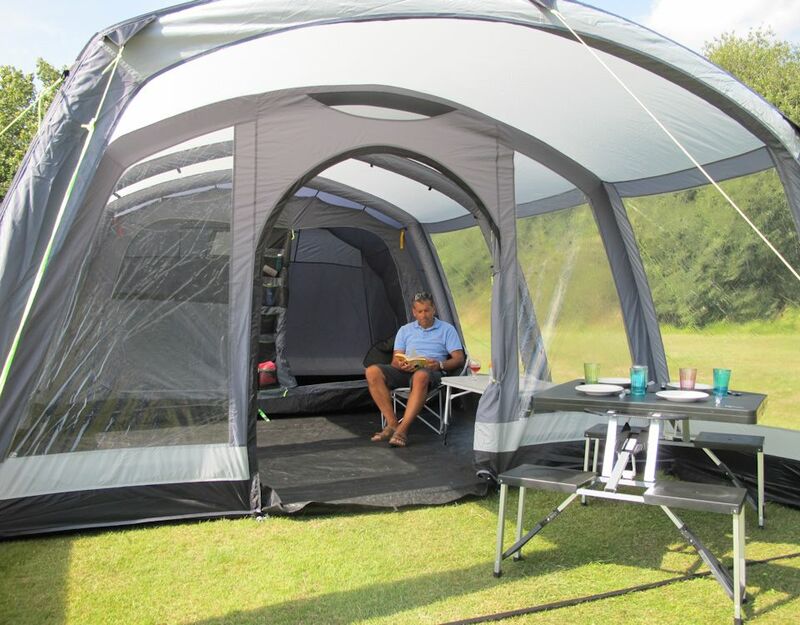 Ease of Use – There are already a lot of things that need to be set up once you select your camping site, so the pillow should be the very last thing that should contribute to the hassle and time-consuming way. Bottom line is you want to be able to set up your tenants, mattress and pillow quickly so that you spend more time resting and less time setting up. Which to buy? – The NEMO Fillo has been consistently winning awards and accolades, editors choice and recommendations online for the last two years. This pillow is great for long trips not only because of the lightweight material and compact size, but it also offers a high level of comfort that is usually sacrificed in those cases. That means that you can enjoy a relaxing night of sleep on a comfortable pillow if you are traveling on a multi-day excursion in the mountains or if you are hiking through the desert. Regardless, your location will not dictate your experience because the NEMO Fillo is consistently efficient. Back in the day you use wires and sticks to prop up your tenants when camping. 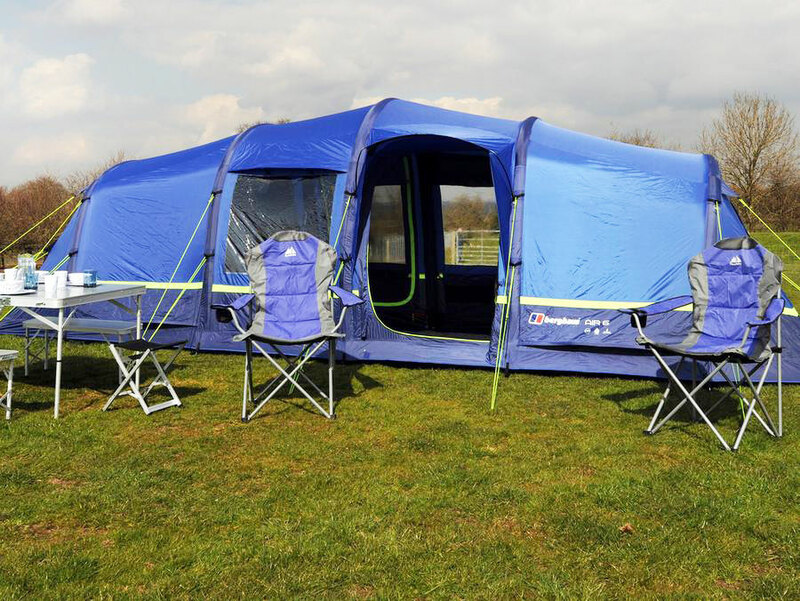 Now, the invention of new air poll technology, referred to as inflatable pole technology, has improved and revolutionize the camping experience in regards to tenants. The popularity of the air tenants has been overwhelming, and there really is no comparison or competition on the market. 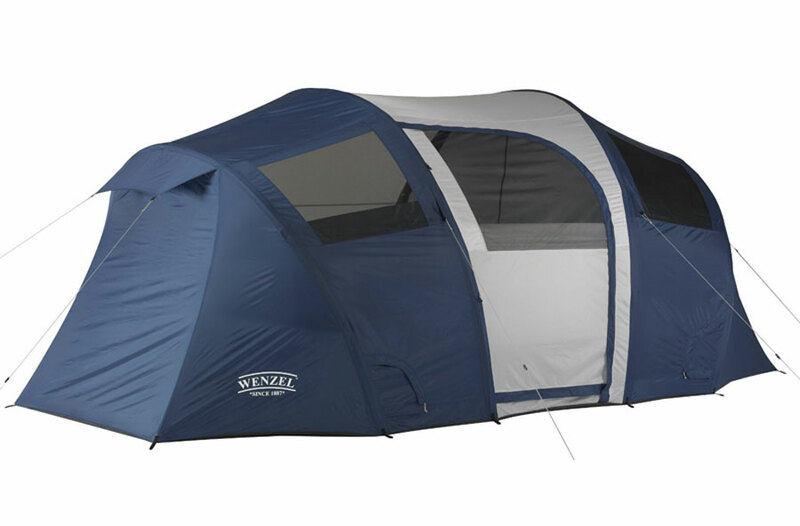 Things To Consider – When comparing tents, the main consideration is the number of people that can comfortably fit underneath the tent. 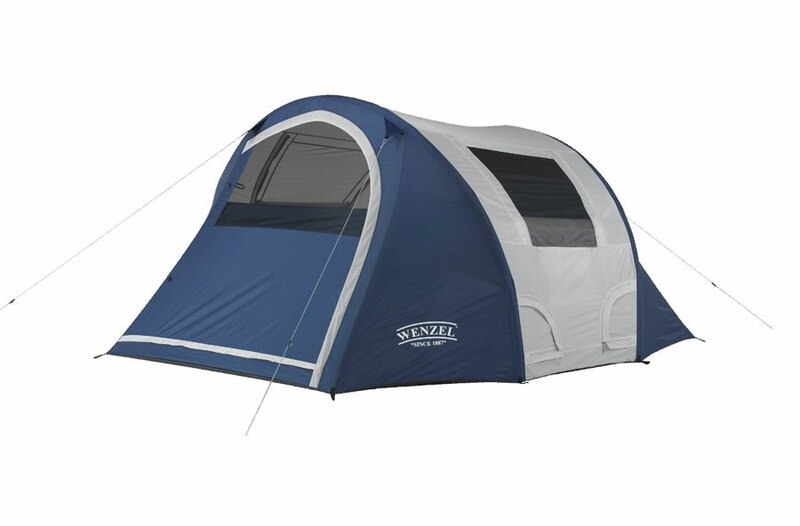 You can find a single person tent, but they range all the way up to an eight man tent. 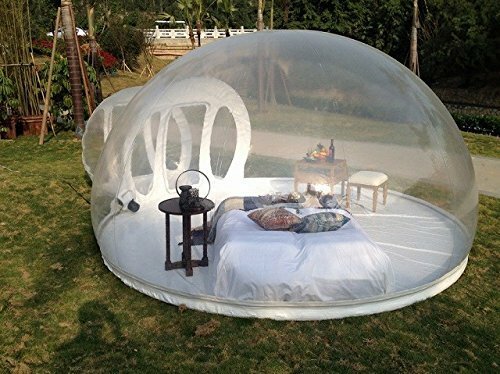 The only other consideration is how the tent is enclosed, and whether they have layers of material or a singular enclosure. 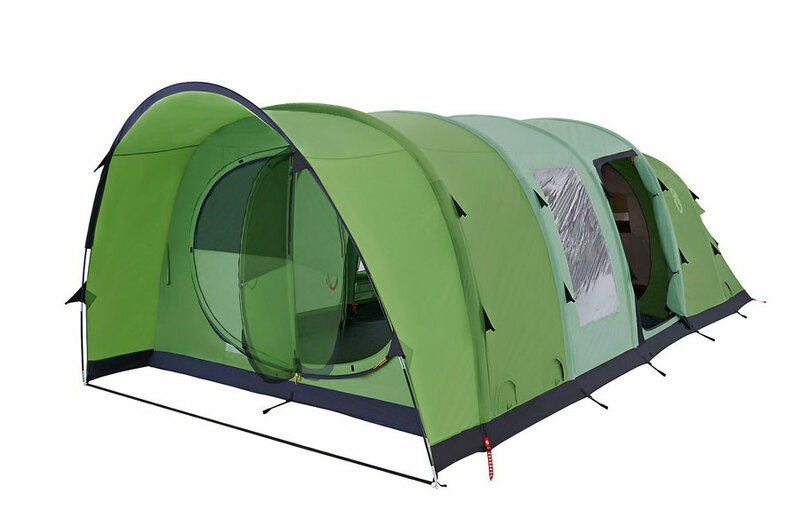 Since each manufacturer and brand create various models of tents, it is difficult to go through all of them in one place. That is why using shopping comparison sites will allow you to evaluate the pros and cons each brand offers In their own unique creative designs. 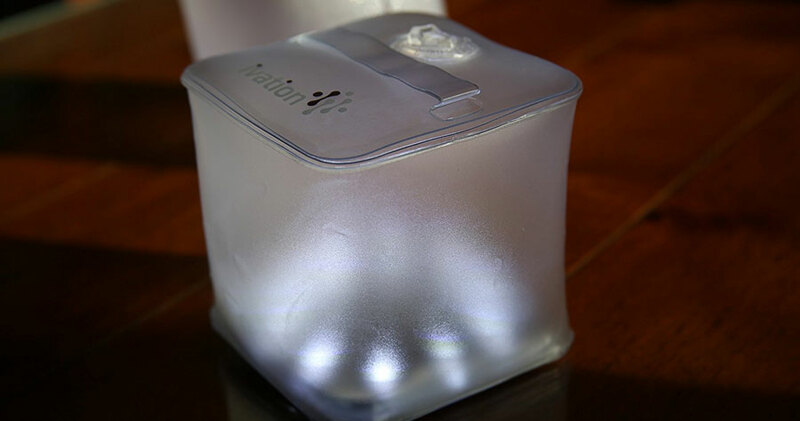 In order to properly illuminate the area in which you are camping, a lantern is a must have for sufficient lighting, especially in a power outage or exclusively dark area, you need to have a lantern that features rechargeable capabilities, USB ports and connect ability to other devices such as a tablet or smart phone. Having a Lancer and that is energy efficient were proved to be long-lasting on excursions, but those features are still essential, especially for extended trips. The main consideration is the weights and packing size and which you are able to carry the lens from with you. But many Lancer and are designed so that they can attach to the outside of your backpack or be strapped over the shoulder, so this prevents hackers from having to manually carry the Lancer and unless necessary. Which to Buy? – The MPOWERD Luci Outdoor Inflatable Solar Light and Camping Lantern Has proven to offer a lightweight option that is not only long-lasting, but offers the features that will ensure that it is available to illuminate the area when you needed the most. It is easily collapsible, so it can actually be packed in your luggage, which makes it easier for you to travel and store the lantern. With it’s built in solar panel this can be recharging when not in use or when hiking by clipping it to your backpack.